L-Lysine is an amino acid that has been found to support the reduction in severity of cold sores and may also help aid healing afterwards. Lysine is the pre-cursor to Carnitine which can promote could cardiovascular health. Lysine is an essential amino acid obtained by the hydrolysis of proteins and required by the body for optimum growth. It is one of several essential amino acids needed in the diet; the human body cannot synthesize it from simpler metabolites. It is classified as one of the nine "essential" amino acids because you need to get it from outside sources such as foods or supplements -- your body can`t make it on its own. L-Lysine, Vegetable cellulose capsule, In a base of alfalfa, spirulina and bilberry. 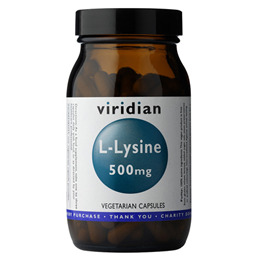 Below are reviews of Viridian L-Lysine - Amino Acid - 30 Vegicaps by bodykind customers. If you have tried this product we'd love to hear what you think so please leave a review. I take l lysine to help my immune system as I have type 2 diabetes and am 71 so need extra help to ward off infection. Viridian makes excellent products without unnecessary fillers. l Lysine is fantastic at getting rid of Cold sores- I read this by chance , tried it and it's an absolute wonder! 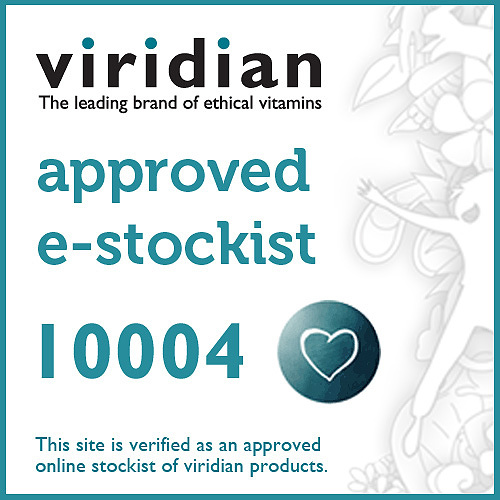 also Viridian products are excellent and the fact that it is in a base of Spirulina and bilberry( excellent for general health and bilberry for eye health) is just a massive plus too!